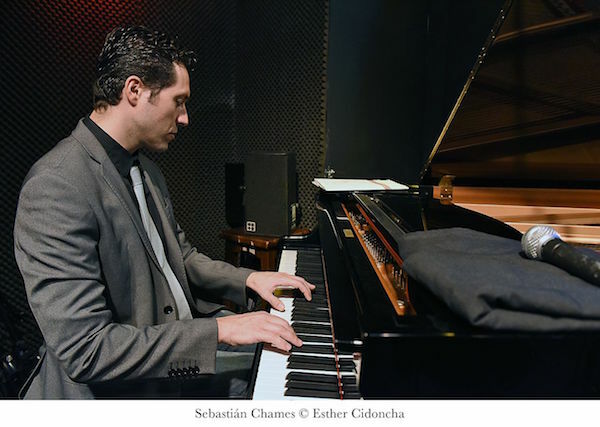 Sebastian Chames is a pianist belongs to the new generation of jazz musicians in Spain. He has both classic and modern training in Madrid and he completed his musical training in New York. He studied with Barry Harris, Rodney Kendrick, Bruce Barth, Fred Hersch, Bruce Barth. In 2008 he released his first CD as band leader “Primera Toma” issued by the label New Moods. in 2013, his second record “Reconstrucción” with Jeremy Pelt-trumpet; Justin Robinson-alto saxophone; Dwayne Burno-bass; and Willie Jones III-drum.During 2000-2003 and in 2015 the third one “Pick Up the Phone” with Jeremy Pelt –trumpet, Greg Tardy-tenor sax, Gerarld Cannon –bass and Willie Jones III -drums. In Madrid he was the pianist of the house band of Clamores jazz club and since 2005 until 2011 he leaded the house trio of “la Fidula jazz club”, during seven years this session has become a meeting point of international jazz musicians which visit Madrid. His records received rave reviews by Spanish specialized press. He currently leads his quintet in Spain which constantly plays in bands in clubs and festivals of Europe. Sebastián Chames Trio at Terraza 7 on Sunday May 1st , 2016 at 8:00 pm. No Replies to "Sebastian Chames Trio"